A person’s smile is a great asset in everyone’s life. Numerous studies have proven that a beautiful smile makes people more attractive. Further, people who are thought to be more attractive make an average of 12% more money and are perceived as being more helpful and more reliable. Unfortunately, if you have severely decayed teeth, you might be reluctant to show off one of your biggest assets. To restore your beauty smile, you could be a candidate for dental crown treatment. Statistics of the American Academy of Implant Dentistry show that more than 15 million Americans have a crown or bridge to replace missing teeth. Dental crowns are designed to protect and strengthen teeth, while also providing aesthetic benefits. 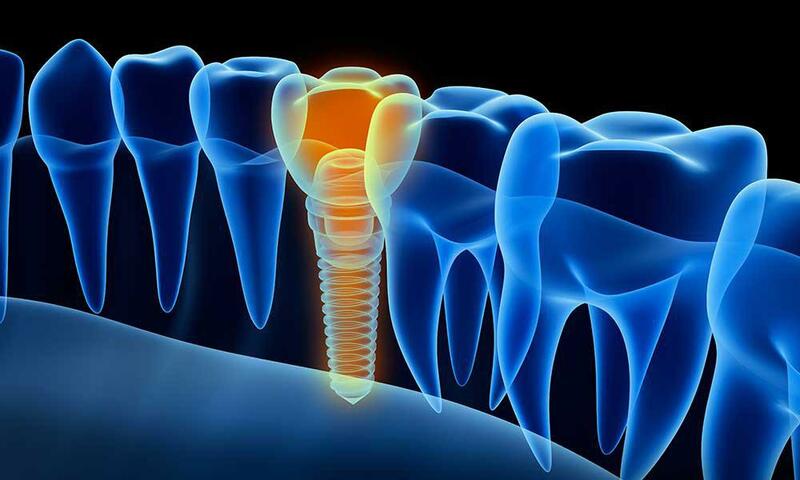 A dental crown is a type of dental restoration, in the form of a tooth-shaped “cap” that is placed over a tooth or a dental implant. Crowns are used to restore teeth’s shape and/or size, strengthen them or improve their appearance. They are also a suitable solution when a large cavity threatens the ongoing health of a tooth. Dental crowns are typically bonded to the tooth using a dental cement. When cemented into place, a dental crown fully encases the entire visible portion of a tooth that lies at and above the gum line. Full Porcelain Crowns – crowns, fabricated from zirconium or aluminum-oxide. These types of crowns are often recommended for the upper and lower front teeth because of aesthetic reasons. Porcelain-Fused-to-Metal Crowns (PFM) – Also known as “full cast” crowns, these crowns are made with metal alloys and porcelain is fused to the surface to create a natural-looking appearance. All-Metal Crowns – Made entirely out of alloys such as a gold alloy. These crowns tend to last the longest, but because of aesthetic reasons are usually used to restore back teeth. CEREC One-Visit Crowns – CEREC is one of the latest innovations in modern dentistry and allows dentists to place a crown in a single visit. Are dental crowns the best solution for me? A crown that fits correctly over your tooth can last for many, many years. If you would like to know whether dental crowns are the right solution for you, you can rely on the professional advice and treatment from Dr. Im from Renton Family Dentistry. Dr. Im, who is one of the best dental specialists in Renton would offer you a thorough examination and help you chose the best solution for your needs. Did you know that the first dental crowns were created by Etruscans, 700 B.C.? As you can imagine, they were made from gold only. Dentistry first applied ceramics in the 18th century, when Alexis Duchateau created a complete set of dentures using porcelain. Because the porcelain would not degrade like dentures made from human or animal teeth, this innovation led to exploring different applications for ceramics as a restorative material. The evolution of dental ceramics continued into the late 1800s, with the introduction of the Richmond crown – a single-piece crown, consisting of a porcelain facing fused to a metal post. This was closely followed by the development of the all-porcelain jacket crown by Charles Land in 1889. Today, porcelain dental crowns are the most common type of dental crowns, also recommended by Renton Family Dentistry, due to their great functional and aesthetical benefits.